Out in paperback, Spring 2017! Democracy of Sound explores the many ways Americans have produced (and reproduced) music from the wax cylinder era of the 1890s to the age of the mp3. It reveals how policymakers justified sweeping property rights that favored entertainment and high-tech interests over consumers and the public domain by the end of the twentieth century. In the Progressive Era, lawmakers were reluctant to expand the “monopoly” power of copyright and declined to extend protection to sound recordings; in their view, free competition and public access to culture trumped the importance of rights held by artists, publishers, and record labels. 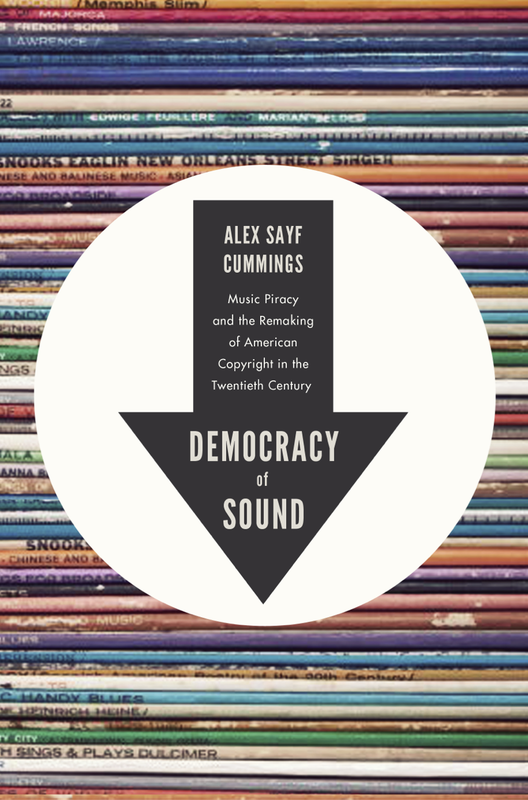 Democracy of Sound follows the record collectors, New Left radicals, and mere opportunists who took advantage of this gap in the law to copy and circulate sound recordings, ultimately provoking the courts and Congress to devise new rationales for protecting music from unauthorized reproduction in the 1960s. The result was a robust expansion of property rights; as the US shed factory jobs and Hollywood and Silicon Valley lobbied for influence, policymakers came to believe that protecting information was the surest path to economic growth. Piracy continued in the face of new legal restrictions, though, and a movement to curb intellectual property began to take shape by the 1990s.